I got into this book right away. 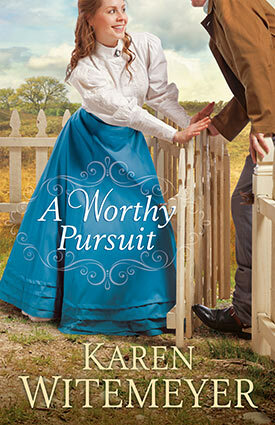 Karen Witemeyer’s writing style always draws me into the story and makes me care about the characters. Charlotte and Stone were relatable and I emphasized with them, even though I haven’t experienced a lot of what they experienced. For me, the setting wasn’t a huge part, and there wasn’t anything all that special about it, but I don’t read for the setting so for me that was okay. 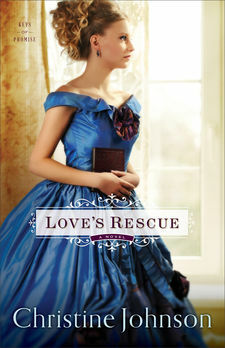 This book was a delightful blend of historical romance with a splash of suspense. One thing that really annoyed me about this book was that I couldn’t figure out how old Rourke is. It was never mentioned how old he was at any point in the book so I couldn’t figure out if he was less than or more than ten years older than Elizabeth. It was only a minor detail but one that annoyed me. I also found the ending to be a rather quick turnaround without much to imply the change in character. Despite these annoyances, I enjoyed the novel and wondered how Rourke and Elizabeth’s story would play out. I could relate to Elizabeth’s desire to please her father, although the time period is much different than the one I live in today. Think you’ll never measure up? Think again. We all want to feel valued. We crave approval and acceptance in the eyes of family, friends, and even strangers. But when we seek confirmation that we are enough using the world’s standards, it seems like we always fall short. As a result, we cannot believe we are who God says we are–accepted, loved, beautiful, and treasured. 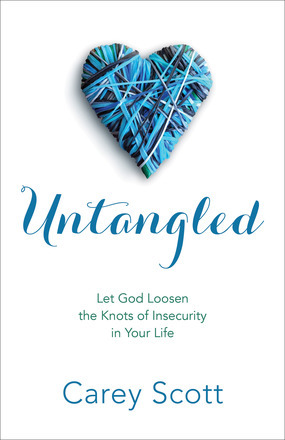 With hope-filled writing and plenty of hard-won personal advice, Carey Scott teaches you how to untangle your self-esteem from the world and anchor it in Jesus. She lovingly shows you that God was intentional in how he made you–and that he is pleased with his work. You’ll learn practical strategies to escape the unattainable standards of our performance-based world. And you’ll find comfort in the fact that you are not alone on the journey. I received this book as an advanced copy from the publisher in exchange for an honest review. I gave this book only three out of five stars because I didn’t relate to almost half of the book. Several chapters were specifically for married women with children, which I am not. Despite that, I could relate to a lot of the rest of the book and enjoyed hearing the stories of how other people struggle with the same things I do.